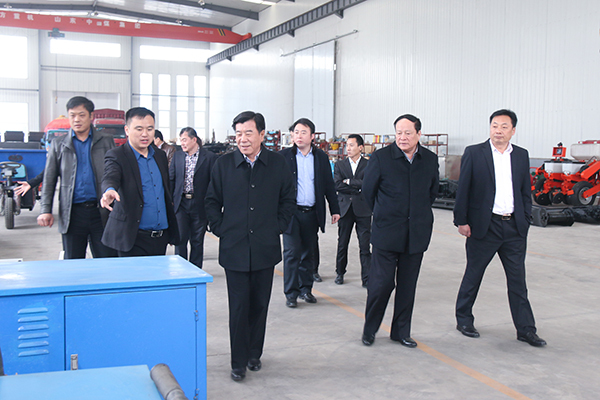 On the morning of March 13, vice chairman of Yantai Nanshan Education Group Yang Haiyi, deputy secretary of Nanshan University Party Committee Liu Chenggang, director of Nanshan Group E-commerce Project Construction Office Wang Kun, and Commissioner of Nanshan Group Legal Department Zhang Jielei visited Shandong Transport Group for inspection on the e-commerce platform operation, the establishment of joint ventures, personnel training and other joint venture projects. Chairman and general manager of China Transport Group Qu Qing, executive vice general manager of China Transport Group Han Yong, Li Zhenbo, vice general manager Fan Peigong, Li Zhaopeng, Guan Chenghui,e-commerce general manager of China Transport Group Yan Ting, office director of China Transport Group Gao Tan and other leaders accompanied reception. 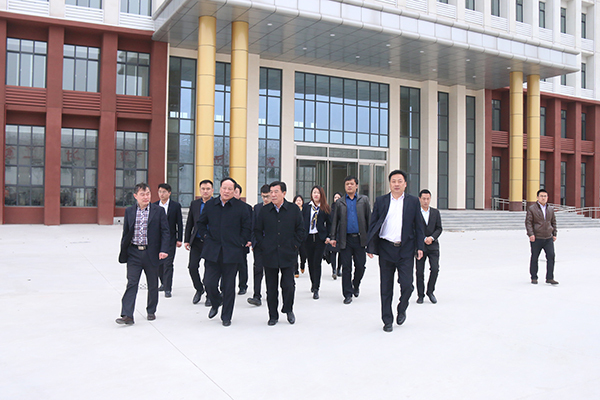 Accompanied by manager Qu and Han, leaders visited China Transport Group e-commerce technology building, E-commerce Company, Cross-border E-commerce Company, Network Information Company, Software Technology Company, Weixin Agricultural Technology Company, Kate Intelligent Robotic Company, intelligent terminal equipment exhibition hall etc., and watched live demonstration of high-tech UAVs and intelligent robot which independently researched and developed by China Transport Group's branch company Shandong Kate Intelligent Robotic Co., Ltd., and given a high evaluation. 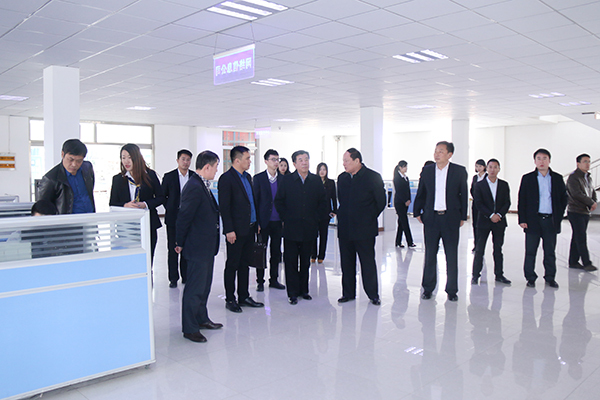 During the visit, manager Qu made a detailed introduction of the overall development of China Transport Group in recent years in e-commerce, cross-border e-commerce, new industry, e-commerce personnel training and other areas for the guests, the key point was outstanding achievements of the Group made in the six large e-commerce platforms operation, and gained the praise by the leaders of Yantai Nanshan Education Group! Subsequently, the two sides held a communication forum for strengthening the depth of strategic cooperation and the establishment of closer cooperation. In order to better understand China Transport Group, visiting leaders watched special feature films of China Transport Group for a comprehensive understanding of the development and the future planning of China Transport Group. In the meeting, Yantai Nanshan Education Group vice chairman Yang Haiyi gave a high evaluation on the perfect e-commerce model of the Group. He pointed out that Yantai Nanshan Group, after more than 30 years'development, has formed a multi-industry development pattern with aluminum, textile and apparel, finance, aviation, home, education, tourism, health and health-oriented, many types of own products, now need to build a global and diversified e-commerce services platform to better accelerate the moderntransformation of Nanshan Group. Through many times visiting, we believed that China Transport Group has rich experience in the e-commerce platform construction and operation, so we greatly hope to further strengthen communication and cooperation in e-commerce between Nanshan Group and China Transport Group, and to establish a long-term close strategic partnership. After the exchange of consultations, the two sides formally reached a cooperation agreement, and signed a cooperation agreement. Yantai Nanshan Group and Shandong China Transport Group jointly sat up a joint venture company - Nanshan China Transport E-commerce Co., Ltd., the company in accordance with the "People's Republic of China Company Law" to establish the board of directors and board of supervisors, and implement the general manager under the leadership of the board of directors. The company's products mainly are Nanshan own products, including aluminum industry chain products, textile and apparel, finance, aviation, real estate, health, tourism, education and other industries under their own products and services, as well as wine, peanut oil, radiators, aluminum doors and windows, aluminum templates and so on, to build Nabshan e-commerce services platform and relying on the preferential policies of Yantai municipal government on support the development of e-commerce industry to build a global diversified and comprehensive product sales e-commerce service platform. 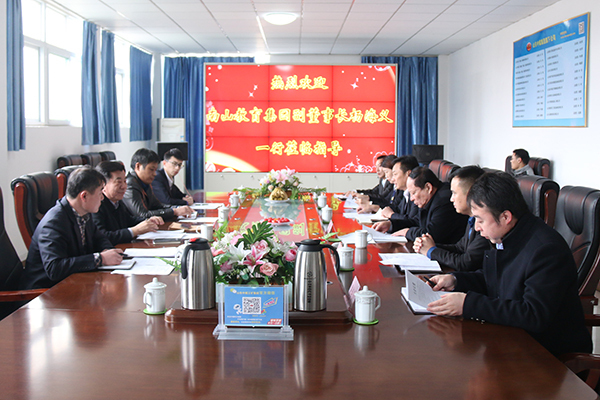 At the same time, Yantai Nanshan Group will also carry out large-scale investment in Jining, and set up a joint venture company with China Transport Group in Jining to strengthen the depth cooperation in multi-field and a number of large projects, and to carry out various types of e-commerce training, project incubation for the country. General Qu expressed,as China's top 500 enterprises, Yantai Nanshan Group has a strong industrial base. 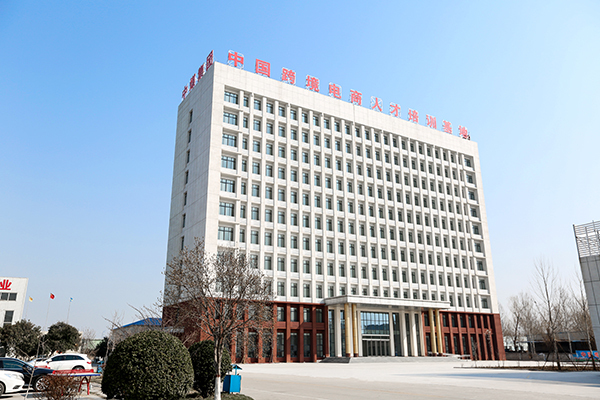 China Transport Group, as MIIT e-commerce innovation enterprise and Shandong provincial e-commerce leading enterprise, has rich experience in the management of e-commerce platform. We believe Nanshan Group and China Transport Group's powerful combination can better play in their respective areas of special advantages to achieve common development and long-term cooperation finally, through complementary advantages, strong combination, sharing of resources, can better achieve the win-win situation of both enterprises! 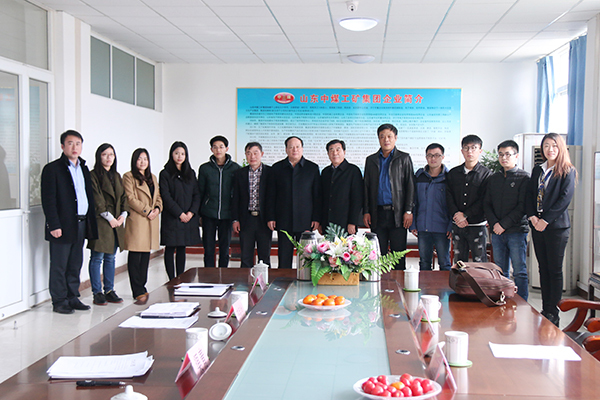 After the meeting, the leaders of Nanshan Education Group specially held an informal discussion with the student delegates of Yantai Nanshan University that have entered China Transport Group as a employee. The leaders have a detailed understanding of their graduates' specific performance in work after the entry of China Transport Group, and encouraged everyone to be grateful to China Transport Group, cherish the job opportunities, and strive to make some achievements on the big stage of China Transport Group! General Qu said, Yantai Nanshan University as the school-enterprise cooperation unit of China Transport Group, we will actively provide students with more employment opportunities, welcome more students enter China Transport Group, we will offer our most broad developing space to each staff who determine to become a useful man.